Rancho Obi-Wan, housing the largest private collection of Star Wars memorabilia in the US, has lost $200,000 in stock. 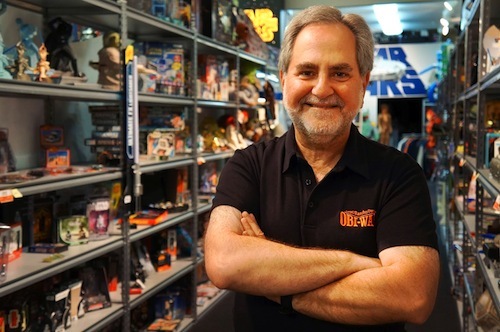 Steve Sansweet, a household name to Star Wars fans and collectors, announced the theft on Monday. I need to share some distressing news with you because I need your help. In February we at Rancho Obi-Wan found out that we had been the victim of a major theft that surreptitiously took place over many months in late 2015 through 2016. There were more than 100 valuable items stolen, the majority of them vintage U.S. and foreign carded action figures, many of them rare and important pieces. Most have either been resold or professionally appraised for a total of more than $200,000. The theft came to light after Philip Wise, a good friend, major collector and owner of several Star Wars websites, posted news of the theft of his rare prototype rocket-firing Boba Fett action figure from his Texas warehouse. Zach Tann, a respected toy dealer and collector in Southern California, immediately notified Philip that he had purchased that figure from Carl Edward Cunningham, 45, a well-known Star Wars collector and R2-D2 builder from Marietta, Georgia. 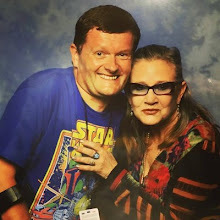 Tann further told Philip that he previously had bought many other rare Star Wars collectibles from Carl and sent a detailed list. Philip said that he quickly concluded by the quantity and quality of items that they had likely been stolen from my collection here in Petaluma, California. Tann is working closely with us and authorities to help recover and return as many of the stolen collectibles as possible. Without Zach Tann’s call to Philip, which came despite great potential personal financial exposure to himself, we might still not know of the theft or its extent. Carl surrendered on an arrest warrant from the Sonoma County, California Sheriff’s Department at the end of March and was charged with felony grand theft. He is currently free on bail with additional hearings in the case scheduled. I have known Carl for many years, considered him a good and trusted friend, and played host to him at my home numerous times. I, and the staff at Rancho Obi-Wan, are devastated that he is the alleged perpetrator of the thefts. Not only have important items been stolen from the collection, but also our time, energy and ability to trust unconditionally have taken a blow. If you have any information about Carl Cunningham’s activities or items that he has sold please write to tips@ranchoobiwan.org. If you think you may have purchased a stolen item, please be patient while we work through this process. 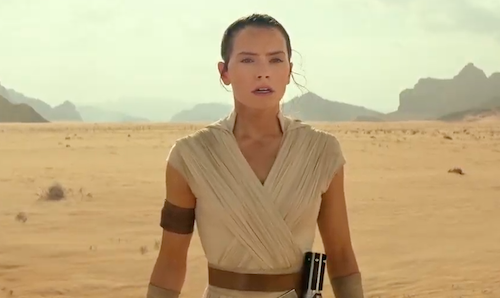 It is our goal to resolve this situation as quickly as possible and to continue to use the collection at Rancho Obi-Wan to “Inspire through the Force” despite the destruction caused by one person.